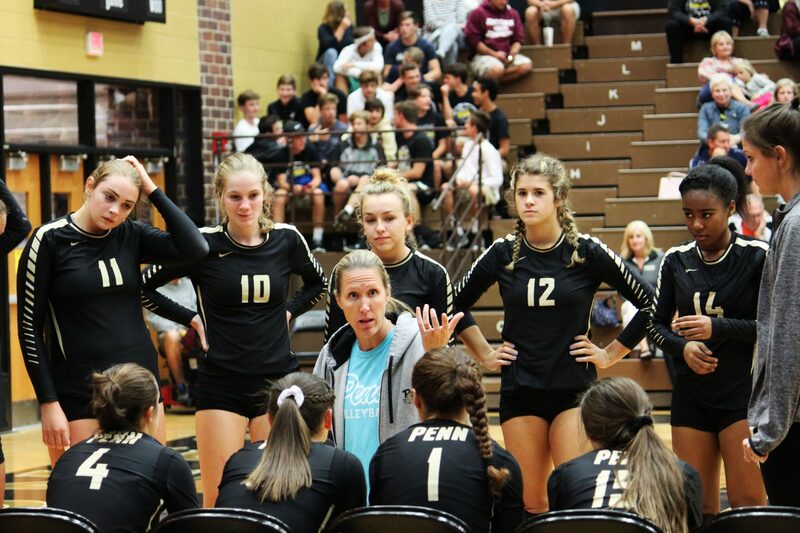 Penn Varsity Volleyball defeated South Bend Clay 25-6, 25-10, and 25-5. The Kingsmen improved to 16-1. Molly Pooler was dominant with 9 kills. Courtney North had 6 kills and Amari Torain had 5. Naomi Willis was a key contributor to the three victories with 32 sets. Julia Beers, Sophia Cruz, and Rachel Hickey were amazing on defense with a total of 47 defends between them. Cruz had 25, Hickey had 12, and Beers had 10.